Fran O'Sullivan: How about the 'more homes' Budget? Asked what slogan I would coin for Labour's first Budget, I quickly answered: the "Southern cheese roll" Budget — "toasty on the upside and gooey and wet underneath". "Would it hold together?" I asked. As a slogan, the "cheese roll Budget" was frankly hackneyed and hardly novel. Jacinda Ardern and Grant Robertson had set the scene with a staged pre-Budget photograph of the pair seemingly about to scoff a plate of cheese rolls. Fittingly, because Robertson is a Southern man. But as the Prime Minister said yesterday, she would find cheese rolls unpalatable in her condition (eight months pregnant), let alone the "smoked salmon" which was used to characterise an offensive launched by former Labour Prime Minister Helen Clark, to cosy up to business when her Government faced a "winter of discontent". Ardern has a point. The situation is very different. There is no need to send Robertson off on a cheese roll offensive — at this stage. That was underlined by Deloitte's Thomas Pippos, who pointed out at yesterday's Auckland Budget lunch that the biggest thing the Government has going for it is the strength of the NZ economy — the gift that keeps on giving. But in my view there is a gulf that need needs to be addressed — not simply a sales job for an orthodox Budget that has already appeased the gods of fiscal rectitude. Instead, what is needed is a programme of action that embraces the best brains in the private sector. This is the biggest challenge of all — confronting the fact that this Budget does not deal to the housing crisis. The reality is that business investment intentions are down — well down. When I asked the Prime Minister about comments her Finance Minister made in his Budget narrative — that the Government was "determined to turn the page on the ideology of individualism and a hands-off approach to our economy that has left too many people behind" — her response was less than satisfactory. Her Government jettisoned the April 1 tax cuts (which National had legislated for) and legislated a $5 billion-plus fillip for Working for Families (and other programmes) before last Christmas. This got lost in the wash.
Ardern admitted as much yesterday at the Trans-Tasman Business Circle's Budget lunch, where she suggested many people had lost sight of the fact that Budget 2 was preceded by Budget 1 last year. When I hosted Ardern at the China Business Summit on Monday, she suggested that some might characterise the Budget as boring. No Budget is ever boring. But the narrative around Robertson's maiden Budget is not bold. Partly, that may be because the Government shot its political bolt in its first 100 days programme. That programme was launched at the end of last year, at a time when most people just wanted to pack up shop and go on holiday after the lengthy election campaign and post-election playoff to decide who got to be the Government. It's fair to say Labour — much like National in 2008 — has been the beneficiary of prudent fiscal management by its predecessor. The books are in good shape, growth projections are positive and there is an element of the Goldilocks economy. The Government has landed on its feet. But it must not let complacency rob it of momentum. It's obvious that the KiwiBuild affordable housing programme will not produce 100,000 houses over the next decade unless there is bold and concerted action. New Zealand has chronic skills shortages, and other capacity constraints in the construction industry have forced the Treasury to halve its forecast rate of progress on KiwiBuild. Ardern has attempted to fob that off by saying the Ministry of Business, Innovation and Employment has a different view to Treasury. But the Government has also admitted that the price tag for a three-bedroom KiwiBuild house in Auckland has risen to about $650,000 — well beyond the pocket of modest income earners. Pressures on housing are exacerbated, as immigration is still running at 68,000 net year on year. Projections of 25,000 by 2022 look heroic. There are similar concerns that capacity constraints will impact on the Government's infrastructure plans. 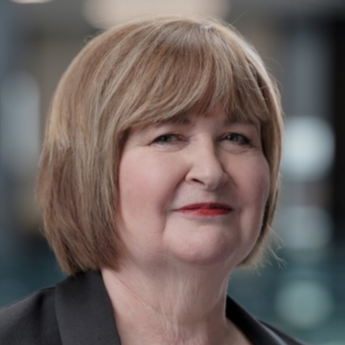 In last year's Herald Mood of the Boardroom, a former Deloitte Chairman of the Year, Dame Alison Paterson, said "it takes time to turn a super-tanker ... and the tolerance for change in the population is slow". Perversely, the Government — like National before it — will continue to benefit from the bow wave of continuing high net immigration, which will keep economic growth rolling. Like National before it, this Government has so far found it difficult to cope with the subsequent tsunami — how to house people affordably and fund infrastructure. In his Budget speech, Robertson said it was vital for our economy to be better prepared for the future. This will require a new approach with fresh thinking. As Albert Einstein is reported to have said: "No problem can be solved by the same kind of thinking that created it." It also requires action. British politician Nick Clegg famously enthused about how he enjoyed the poetry of the election campaign, only to be confronted by the essentially prosaic nature of making a Budget. Ardern has that same poetic quality. Robertson must deal with the prosaic side. Their Achilles heel is housing. On that front they have failed. It's time to — as former Green MP Sue Bradford said yesterday — get onto a war footing and deal with it. - Disclosure: Fran O'Sullivan hosted the Q&A session with the Prime Minister at the Trans-Tasman Business Circle Budget lunch.